Black Tar Varnish is a synthetic tar varnish for industrial, agricultural and marine use. 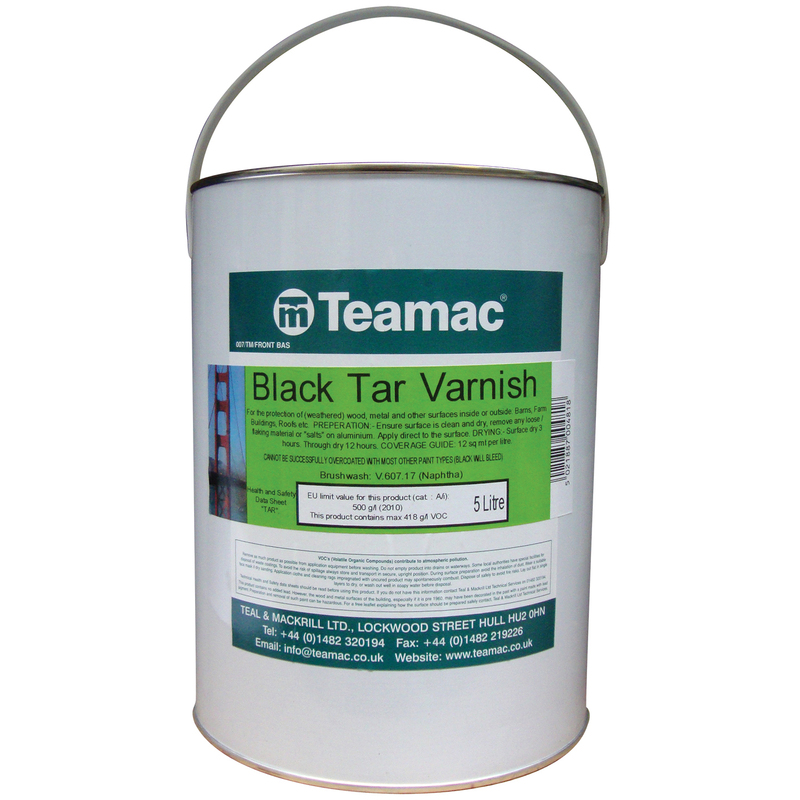 Teamac Black Tar Varnish is used for the protection of (weathered) wood, metal and other surfaces, inside or outside. Can be used on Barns, farm buildings, roofs etc and marine applications.